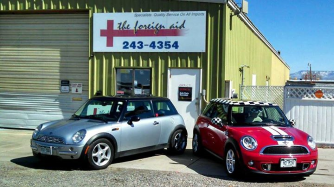 The Foreign Aid is a locally owned and operated automotive repair facility. We have been specializing in European auto repair in the Grand Valley in the same location since 1989. 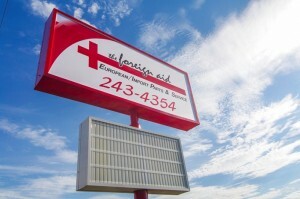 We realize that the technology of the automobile changes almost daily, and so we use the latest computer diagnostic equipment and our technicians attend continuing education classes in automobile diagnosis and repair. We now use the world renowned Autologic diagnostic equipment for Factory-level service treatment of your BMW or Mini. Even if your model isn’t listed below we’re sure we can help you!!! We Focus On European Brands so the Job Gets Done Right! 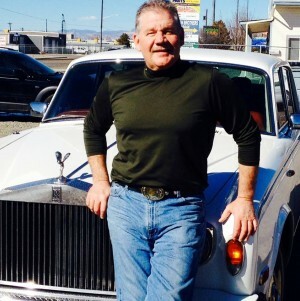 Owner Steve Stewart would love to give your car the “Rolls Royce” treatment. The owner of The Foreign Aid, Steve Stewart, believes that no mechanic can do a truly superior job on every car make. Today’s cars are complex, computerized mechanical systems, especially the top end European performance brands. That’s why at The Foreign Aid we specialize in Audi, BMW, Jaguar, Mercedes Benz, Mini, Porsche, Volkswagen, and Volvo…and of course the occasional Rolls. Call us at (970)243-4354, or send us an email and see how we can help with your European car.